Jack Redpath spends time reflecting on his past six seasons with the Club. Just before Rohan Smith left his office to front the media, he was wrapped up by the powerful arms of his skipper, Jack Redpath. 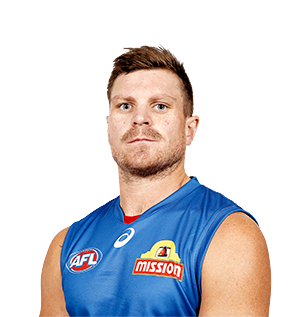 Drafted onto the Bulldogs Rookie List back in 2011 Redpath has developed into one of the game’s most promising key position players. Taken with the pick 62 in the Rookie Draft, Redpath was elevated onto the Bulldogs' senior list in Round 15 of the 2014 Season, and debuted against Geelong in Round 16. A powerful presence on and off the field, when fit, Redpath has shown he can provide teammates with a target in front of goal and even pinch hit in the ruck when needed. The 27-year-old stablished career highs in disposals, marks and inside 50 entries in 2017 and has been added to the Club’s leadership group for the 2018 season. Redpath made his return from a knee reconstruction in the VFL (Round 4) against Richmond in May, where he kicked six goals for the ‘Scray against the Tigers in a seven-point win at Etihad Stadium. Redpath went on to play nine senior games for the Bulldogs in 2017, kicking 15 goals. He gathered a career high 18 disposals, 11 marks and one goal against the Gold Coast Suns in July. In another of his better performances, he collected 17 disposals, 9 marks and two goals in the Dogs’ Round 15 seven-point loss to West Coast. He kicked a season high three goals against Brisbane in August. 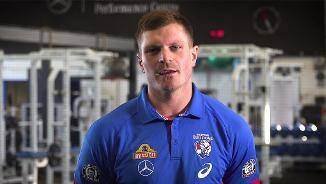 Redpath signed a new two-year contract extension in September to stay at Whitten Oval until at least 2019. “It all happened pretty quickly. I came back (from my ACL) and played one game (in the VFL) and I was back in the team. After Geelong (Round 9) I got dropped. You go through some highs and lows but then I got back in and finished the year strongly. - Jack Redpath, September 2017. 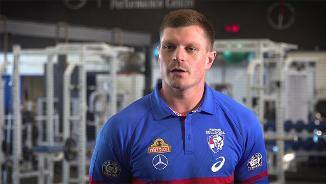 Bulldogs fans were just as disappointed as Redpath himself when he went down with a knee injury in round 18 against St.Kilda. The 25-year-old Redpath was in the best form of his young career when he went down having posted career highs in disposals, marks and goals, while his average of two goals per game lead the Club in 2016. A bullocking presence up forward, that number was at an impressive 2.8 goals per game over the opening five games of his season. Redpath signed a one year contract extension this season that will see him remain at the Club until at least the end of the 2017 season. Redpath's 11 marks against Melbourne in round 8 was a career high. "I’d had a pretty good season right up until the time I did my knee, I was playing the best football for the Club in my life, for sure. It was a bit of a pain that that happened but seeing what the boys have done this year hopefully I’ll get my turn, one day. One of the pre-season standouts, Jack Redpath was disappointingly sent back to the VFL after a round one call up. Despite that, Redpath fought his way back in through solid VFL form, and returned to the senior side in round 14 – not missing another senior match for the year. By his own admission, Redpath found consistency for the first time in his career, after injuries had previously hampered his career. The key forward created contests, presented well and produced a ferocious attack on the football. The 24-year-old’s most dominant display came against Port Adelaide in round 19, picking up 13 disposals, nine marks, four tackles and four goals. Redpath collected a career-high 10 tackles against Geelong in round 18, highlighting his work rate and pressure as a key forward. “He was fantastic. He was really disappointed that he went out of the side early in the season and once he dealt with that, he played some really consistent VFL footy and really set himself up for the back half of the year and showed that he can play at the level. Rewarded with a round 16 debut against Geelong, Jack Redpath’s football journey is one of persistence. Overcoming two knee reconstructions before being rookie listed in 2011, Redpath played three senior games after being upgraded onto the senior list in the back-half of the season. 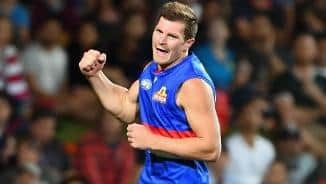 Redpath provided an imposing physical presence in the Dogs’ forward six, goaling in games against the Gold Coast and Essendon. Redpath was Footscray’s leading goal-kicker in the VFL this season. Redpath kicked 36 goals in the VFL and finished fifth on the league’s tally. “He was tracking really well as a young player and overcame a couple of knee reconstructions. “We have had him here for two or three years and he has been able to really develop in our VFL team, under some great coaching from Ash Hansen who has brought him along fantastically well.” – Bulldogs List Manager Jason McCartney ahead of Redpath’s debut in round 16. A mixed season for Redpath saw the developing key tall play nine matches for VFL affiliate Williamstown, sharing his time between the senior and development sides. After showing glimpses of his bullocking best early, Redpath was restricted to the sidelines for six weeks rehabilitating a knee injury. The 22-year-old made reasonable gains across the stats board in his seven senior VFL games this season, more than doubling his average disposal count (13.3) from 2012 (6.8). He also took almost one and a half more marks per game (4.6) than last year (3.2). Redpath was showing steady improvements in the VFL playing for Williamstown this year, assuming the role of a key target in the forward line. His marking ability has improved as has his confidence. A broken wrist forced his season to end early. Power forward from Kyneton who also spent time at the Bendigo Bombers. A 20-year-old who tested impressively in the 20m sprint. Has clean hands and is a thumping kick.